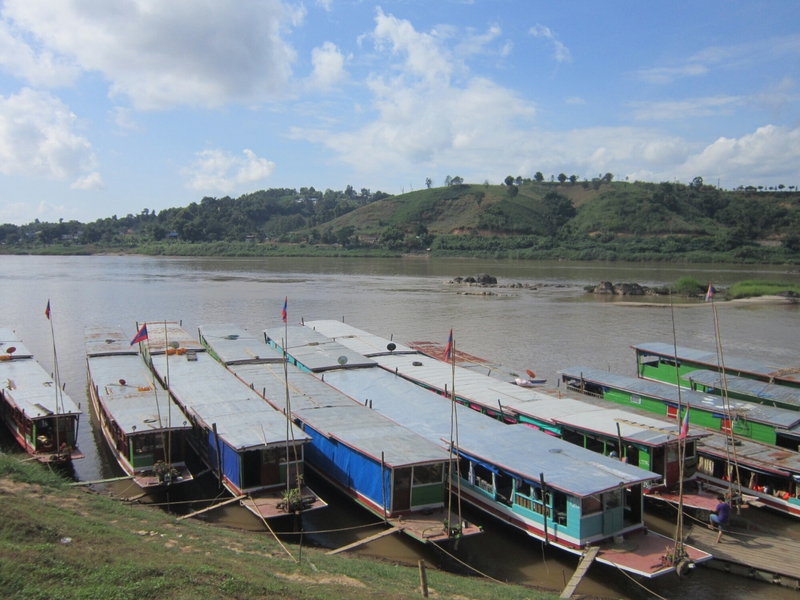 I spent the night in Chiang Khong before heading across the border to Houay Xai in Laos. I met a bunch of other people who are all awesome and we teamed up to catch the boat – Ally (USA), John (Sweden), Henry (England), Michelle (Germany) and Nadhisha (Switzerland). Immigration was easy but slow. You have to tuk tuk to the border, stamp out of Thailand, get a bus across the friendship bridge, go through Laos immigration and get your visa in arrival then tuk tuk it to the dock to catch the boat down the Mekong river, which is a huge part of local life as it is such a big part of local geography and flows through several countries. 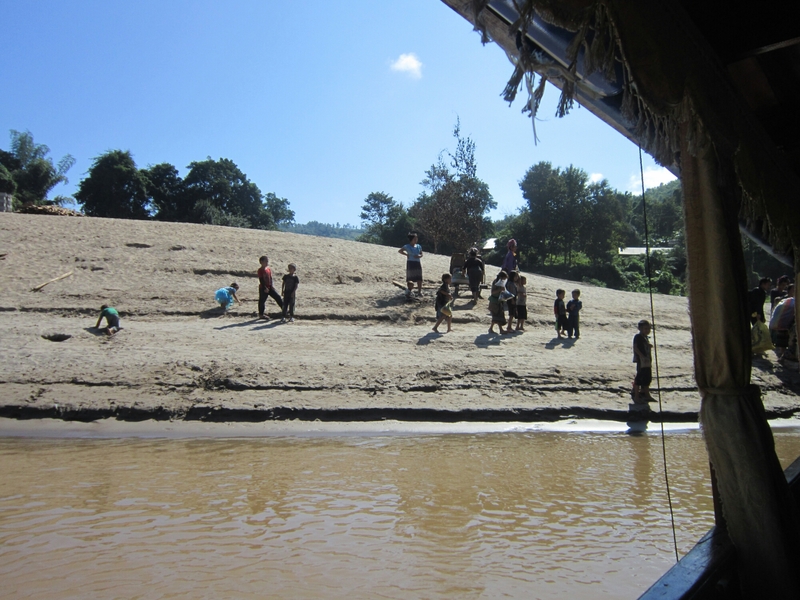 The Slow Boat is pretty cool, the scenery on the Mekong is amazing and you meet some great people. Just make sure you have a book and/or music! You are sitting down for 2 days after all! As well as our group I chatted a lot to Jack (Scotland) and Anna (USA) who are a couple who have been traveling a while and I think they are just 2 of the nicest human beings I have ever had the pleasure to meet. It took about 6 hours on the 1st day to travel to Pak Beng where it stays the night and our group of 6 all stayed in a guesthouse and got some good local food in a restaurant that declared ‘My Wife is a very good cook’ on it’s sign. Also for those familiar with Asia and the whole ‘Same same but different’ thing it was pretty funny for our first night in Laos to be told stuff was ‘Same same but Lao’. Second day and rearrange on the boat as everyone scrambles on. Met more cool people and chatted away. 2nd day took about 7 to 8 hours. 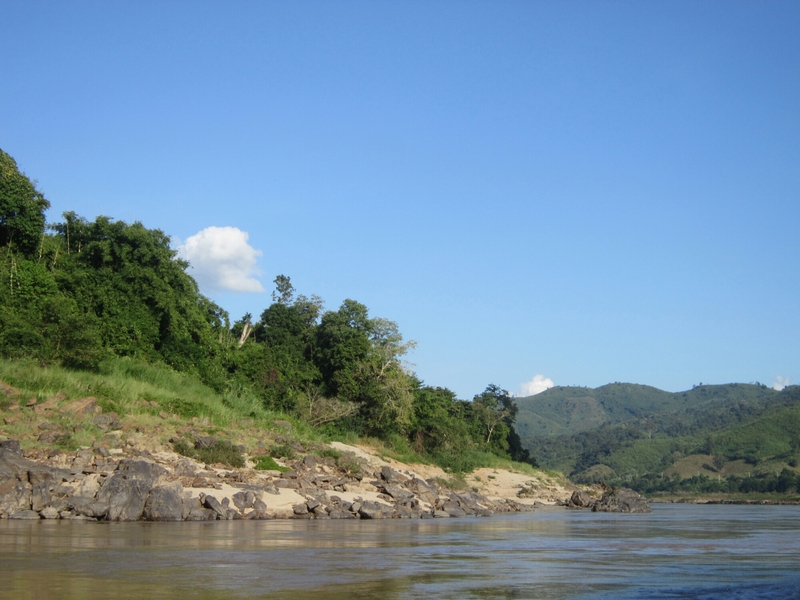 Finally we arrived outside of Luang Prabang. After we rejected the initial demand of 20,000kip each for the Tuk tuk into the city we settled in the 10,000 offer after we’d walked down the road 50 meters or so. So, time to explore Laos!